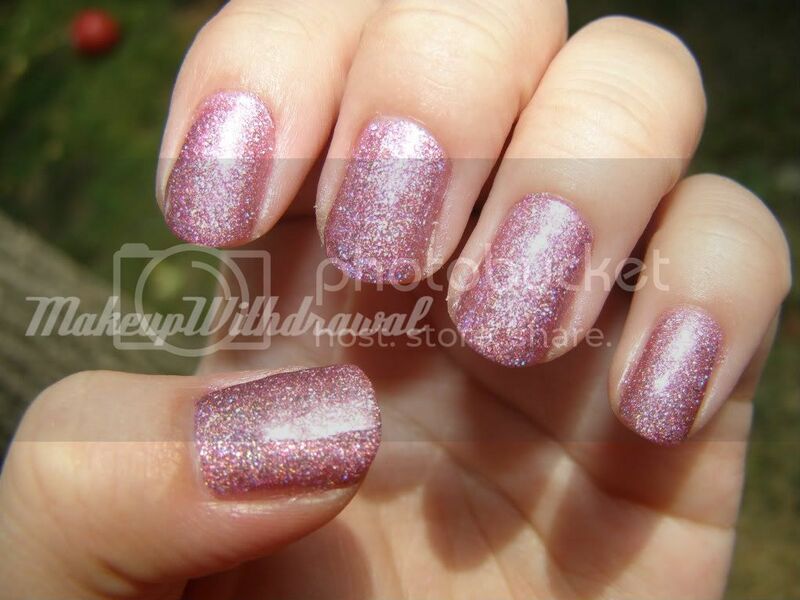 Since seeing pictures of this super sparkle filled polish, I knew I had to have it. The holo bits in this shadow are a little on the chunky side, meaning that this polish is as far away from subtle as you can possibly get. When I look at this polish on my hands in the sunlight I almost get hypnotized, remind me to be careful while driving and to not glance at my fingers on the steering wheel. 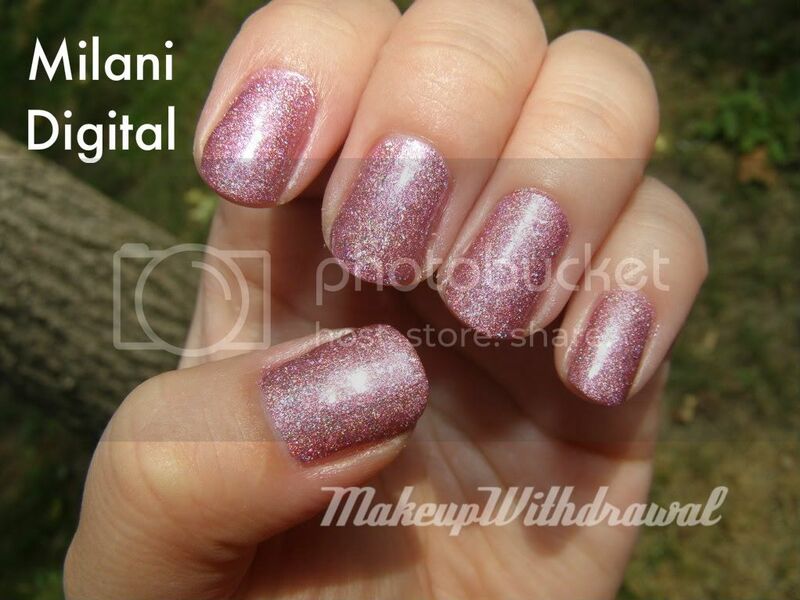 This comes from Milani's 3D polish collection with 5 (if I remember correctly) other holo polishes in Easter egg colors.